Description: Algorithms are too complicated to follow for you? Flowcharts come to the save! 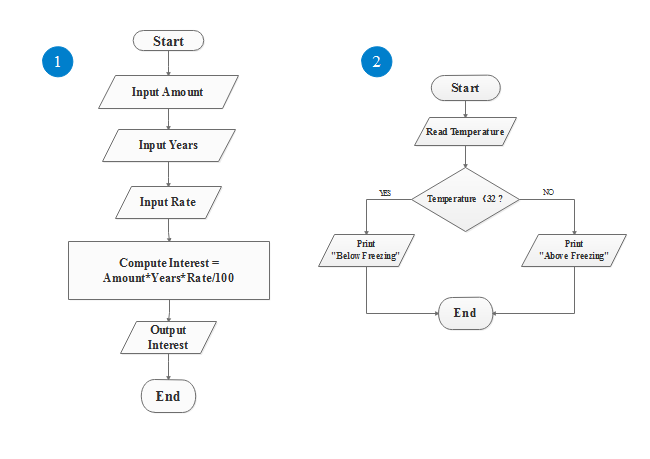 Two simple flowcharts for algorithms created by Edraw Max shows you how flowchart can assist understand an algorithm process in a visual way. Down the template for free and create your own flowcharts!